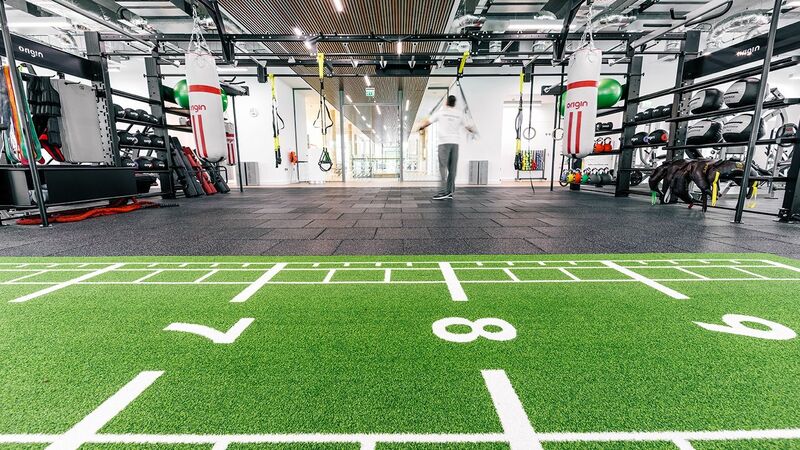 When deciding to incorporate a large functional training zone at the new Granta Park site by Cambridge, Nuffield Health worked with Origin Fitness to create a smart and efficient solution that would inspire members to embrace a new training style. 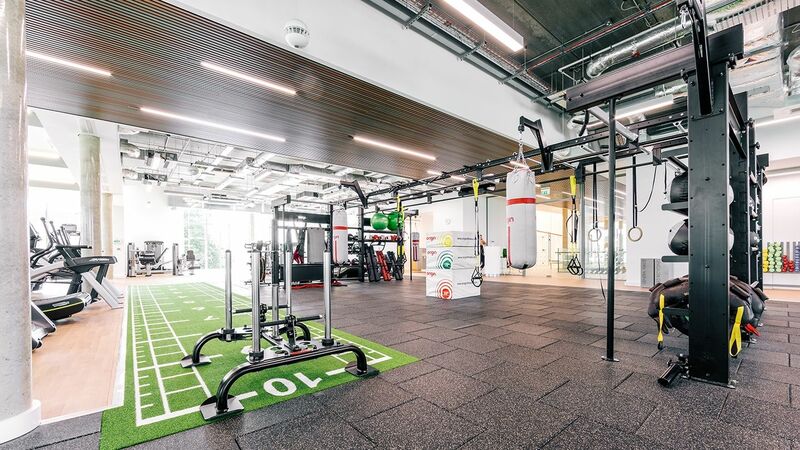 Having worked with Origin Fitness for several years, Nuffield Health sat down with Origin Key Accounts Manager Alan Davidson to pinpoint the requirements of this new functional space. 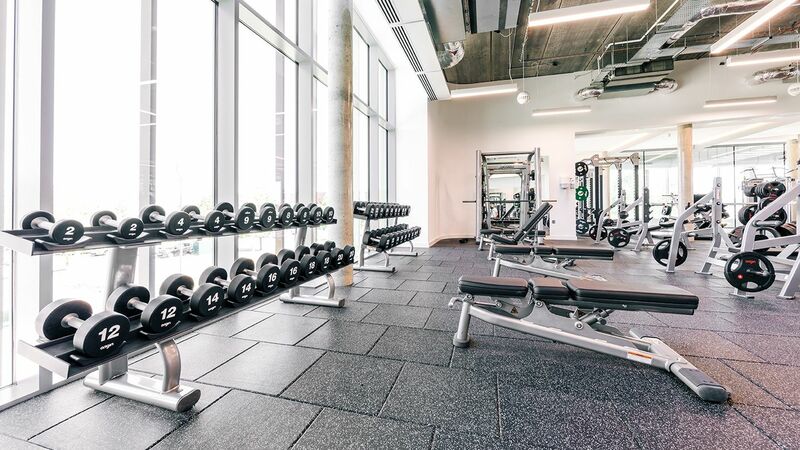 The aim was to offer members a larger variety of functional equipment than ever before while avoiding creating a cluttered gym space. The catch? 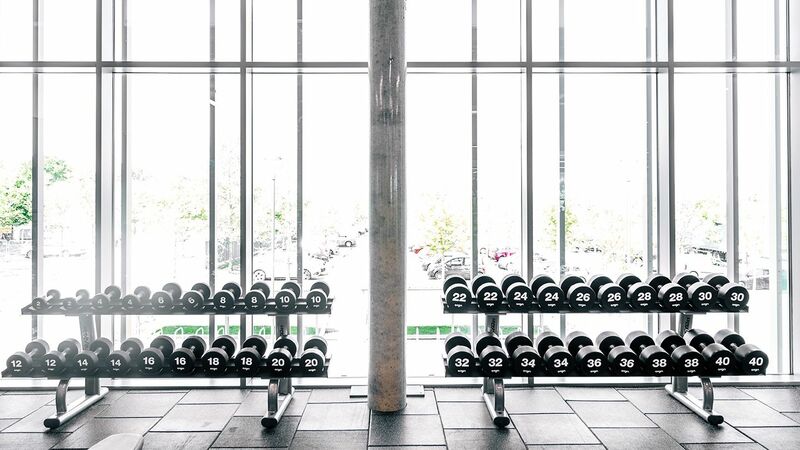 It would take up an open, central space as a focus piece for the entire gym. 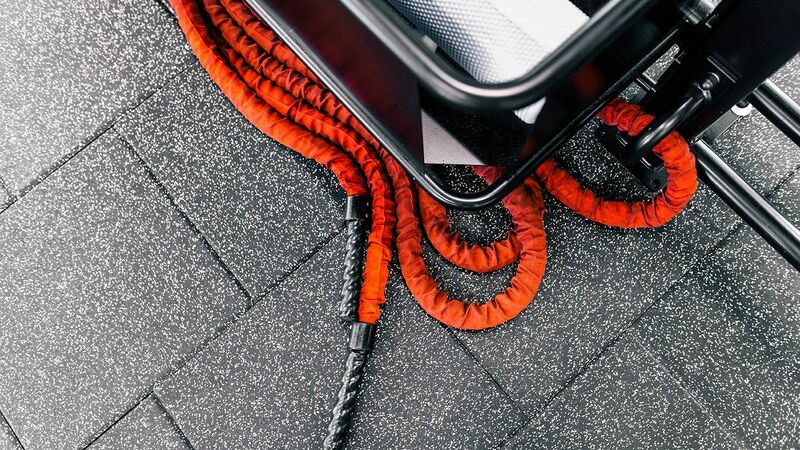 To fulfil this unique brief, we supplied an Origin Modular Storage rig - a customisable rig which integrates specific storage solutions into a functional training rig. A bespoke version was created to accommodate the high number of users expected to train on the rig at any one time. 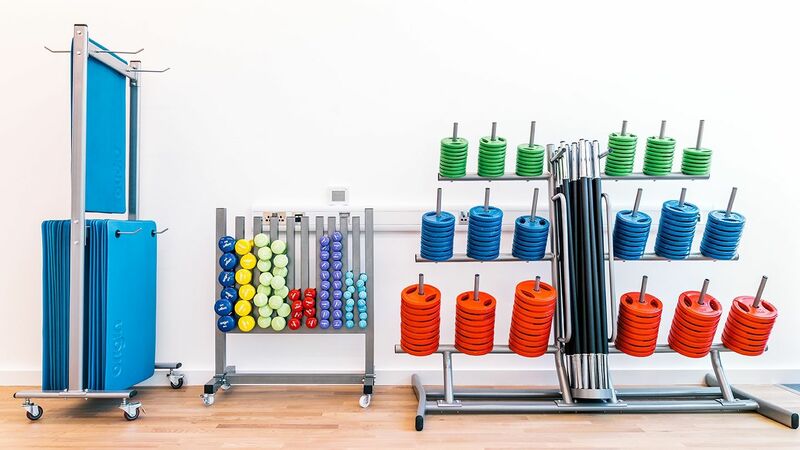 Specialised shelving allowed a wide range of kettlebells, power bands, boxing accessories and further accessories to be stored away safely, but to remain accessible at an instant, making it ideal for impromptu gym floor group sessions. 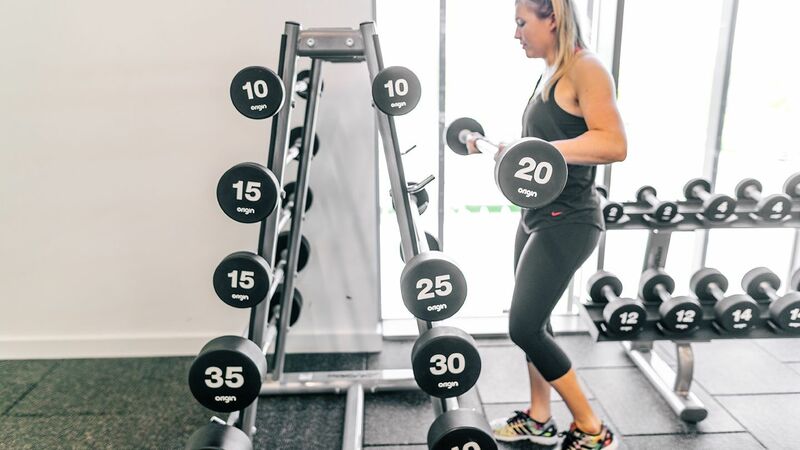 As well as providing ample storage for the extensive ranges of functional accessories included, the rig also aims to create a feature area for the members to train in new exciting ways. The long 8m bridge provides an overhead structure to support multiple boxing bags, suspension trainers and Olympic rings, without sacrificing floor space. 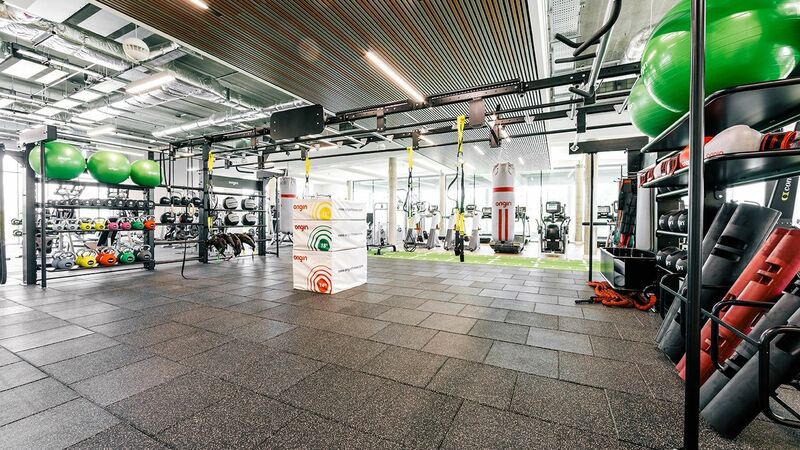 The rig design maximises the floor space available for group training sessions. 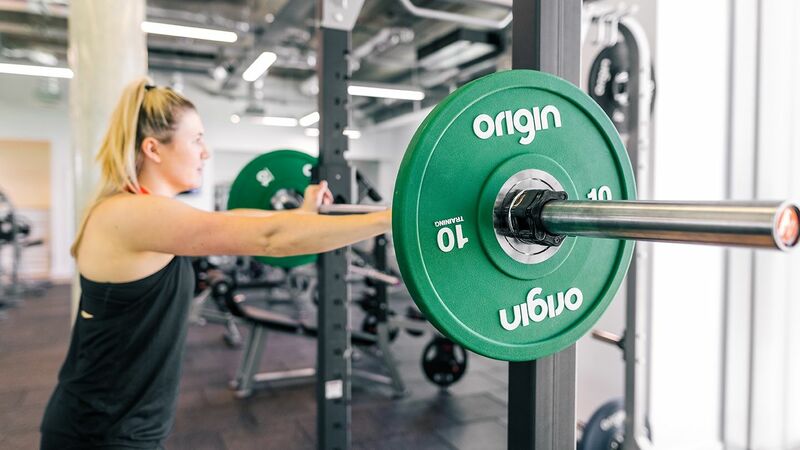 Additionally, Origin Fitness supported Nuffield Health Granta Park by supplying a range of free weight accessories, including UD2 Urethane Dumbbell sets, UB2 Urethane Barbells and Rubber Olympic Weight Plates for the plate loaded strength zone. Our colourful Urethane Bumper Plates brighten up the racks and provide a premium strength training product to this area. 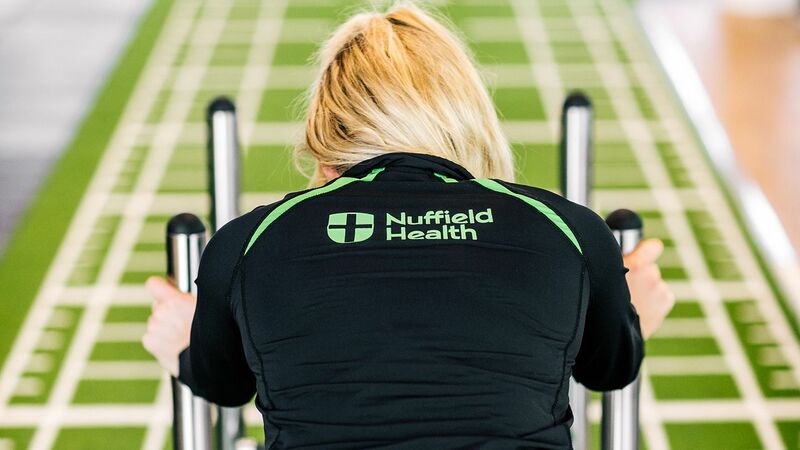 Getting the chance to work with Nuffield Health on a project like Granta Park continues to inspire us to work harder and create better solutions for our customers. Working with Joanna Seldon and Danny Bellew in particular towards the end of the project was especially rewarding for Alan, and casts a bright light on our future Nuffield Health projects. 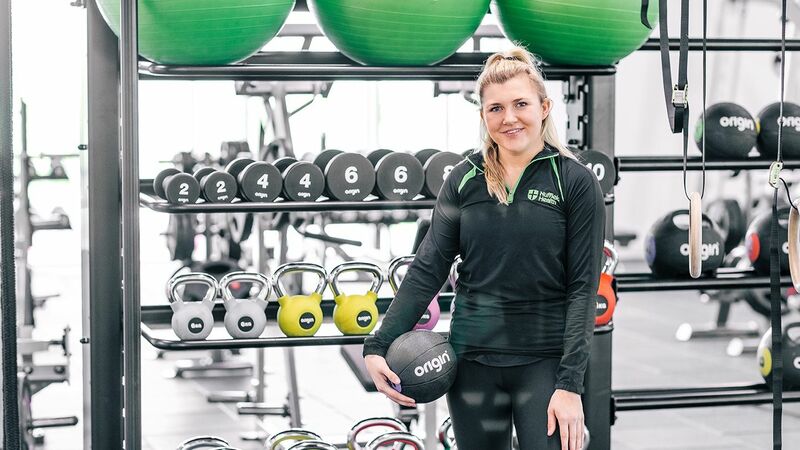 Origin Fitness has received the go-ahead to create a further 23 of these zones, which is testament to the success of the Granta Park project as well as the work Origin Fitness do with Nuffield Health.